Phool Makhane are popped, puffed lotus seeds . Uses - They can be used in a variety of ways - in kheer, panjiri, with khoya etc. - They are also used in salty curries. - Phool makhane can be lightly toasted in oil with salt and spices to make a popcorn-style salty snack. Health Benefits - They are rich in calcium, and protein and low in calories and fat. - They are believed to be good for the kidneys and heart. - Phool makhane are light and easy to digest. - They contain flavonoids which control free radicals in the body. - They are considered good for diabetics. - Phool makhane contain antioxidants. Store in an airtight container in a cool, dry place. 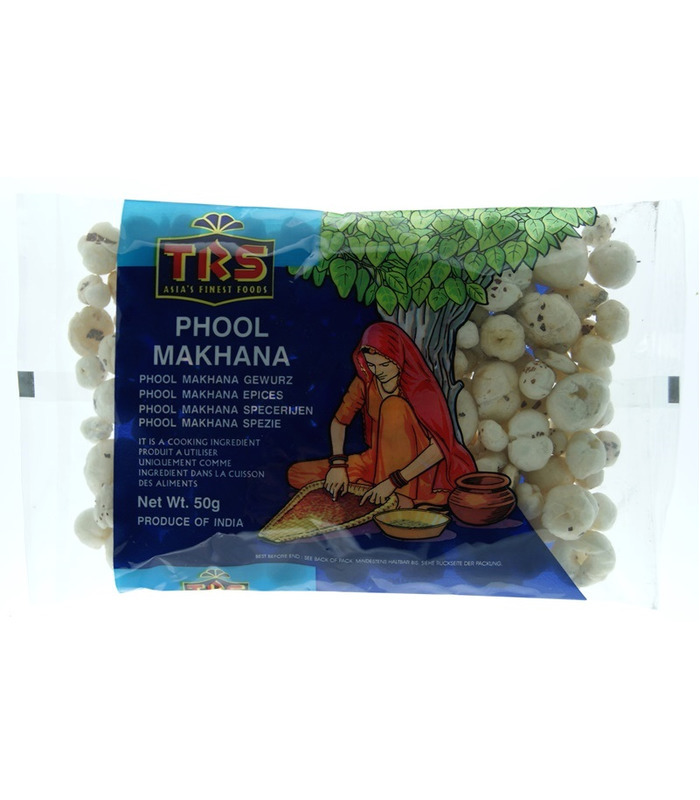 Phool Makhane are popped, puffed lotus seeds. - They can be used in a variety of ways - in kheer, panjiri, with khoya etc. - They are also used in salty curries. 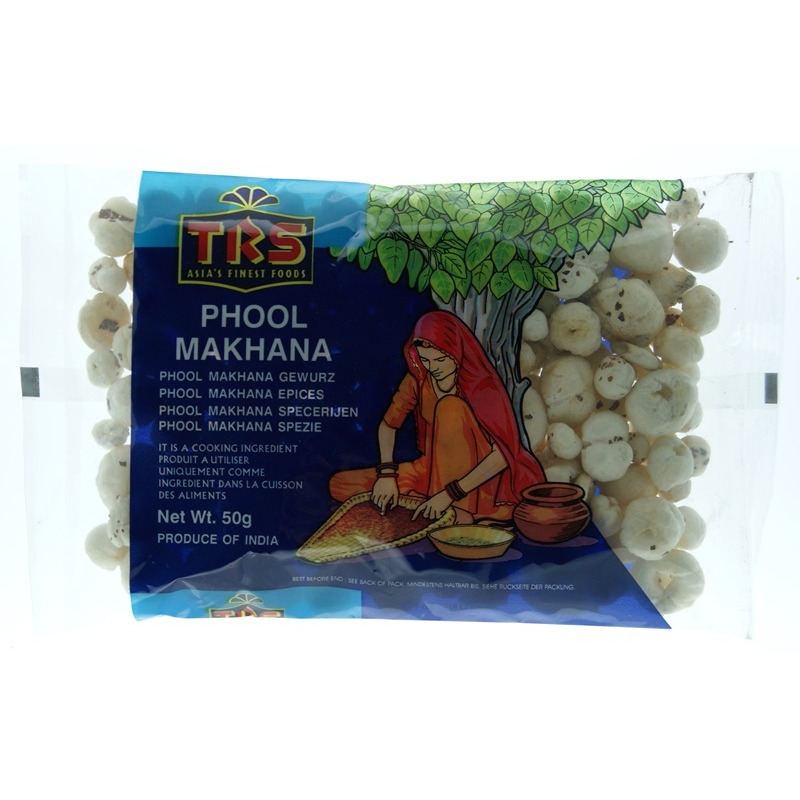 - Phool makhane can be lightly toasted in oil with salt and spices to make a popcorn-style salty snack. - They are rich in calcium, and protein and low in calories and fat. - They are believed to be good for the kidneys and heart. - Phool makhane are light and easy to digest. - They contain flavonoids which control free radicals in the body. - They are considered good for diabetics. - Phool makhane contain antioxidants. Phool Makhana is the blown seed of the Lotus plant. It looks like a little popcorn.